Chinese President Xi Jinping said Thursday he and his US counterpart Donald Trump have reiterated firm commitment to achieving denuclearization on the Korean Peninsula. 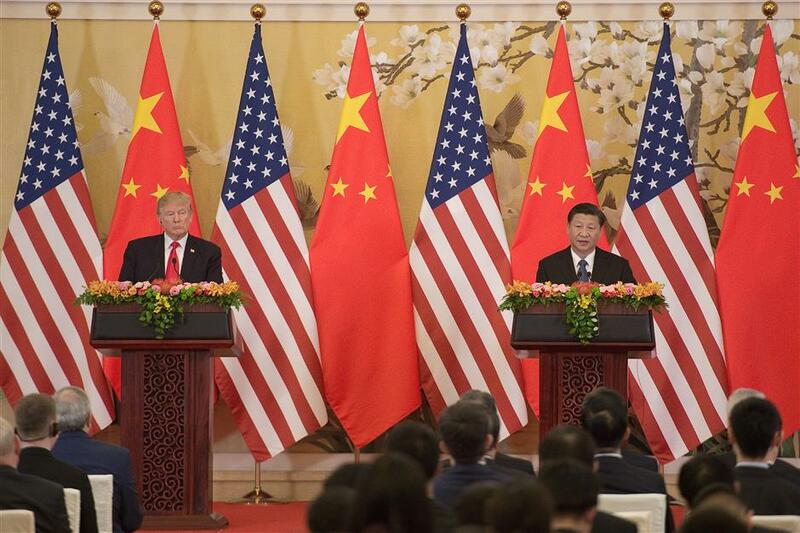 Chinese President Xi Jinping said Thursday he and his US counterpart Donald Trump have reiterated firm commitment to achieving denuclearization on the Korean Peninsula and solving the nuclear issue through dialogue and negotiation. Xi made the remarks when meeting with the press alongside Trump after their talks at the Great Hall of the People in Beijing. "On the Korean Peninsula nuclear issue, we have reiterated firm commitment to achieving denuclearization on the peninsula and maintaining the international nuclear non-proliferation regime," Xi said. "The two sides will continue to fully and strictly implement UN Security Council resolutions and stay committed to solving the Korean Peninsula nuclear issue through dialogue and negotiation," he told reporters. The two sides are also willing to work with various parties concerned to explore ways of realizing lasting peace and order in Northeast Asia and will continue to maintain communication and cooperation on the issue, the president said. During their talks earlier Thursday, the two presidents stressed that the two countries have common goals in eventually solving the Korean Peninsula nuclear issue through dialogue and negotiation, and reiterated the commitment to promoting peace, stability and prosperity in the Asia Pacific region. Trump said during the talks that the United States hopes to work with China to push for denuclearization on the Korean Peninsula. The US side highly values China's important role in the Korean Peninsula nuclear issue, Trump said. The US president arrived in Beijing on Wednesday for a three-day state visit.